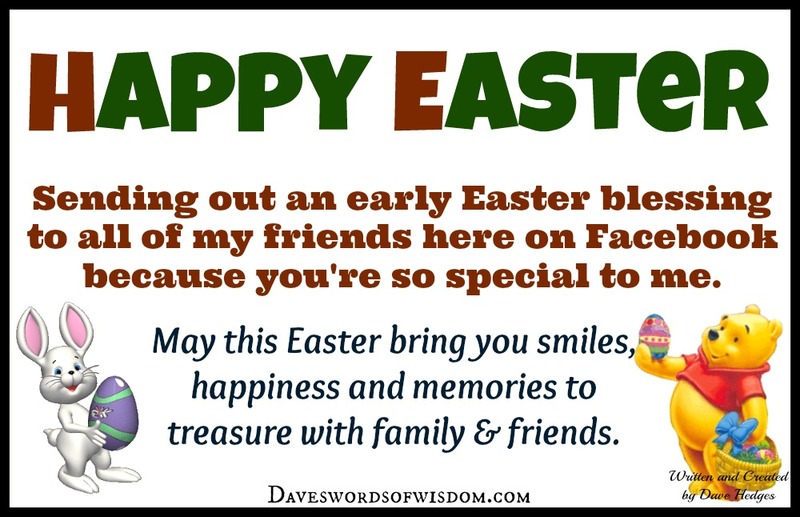 Daveswordsofwisdom.com: Sending you an early Easter Blessing. Sending you an early Easter Blessing. Sending out an early Easter blessing to all of my friends here on Facebook because you're so special to me. May this Easter bring you smiles, happiness and memories to treasure with family and friends.